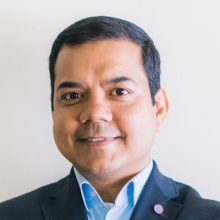 Anis Uzzaman, Ph.D., is the General Partner, CEO, and founding member of Fenox Venture Capital, a Silicon Valley-based VC with strong global network and investments. Anis has invested in over 120 startups in the United States, Japan, and South East Asia. Prominent US startups in the Fenox portfolio include x.ai, Jibo, Genius, Affectiva, Afero, MindMeld, Lark, Scanadu, Meta, and ShareThis. He is an investor and a board director of Tech in Asia, the largest tech media in Southeast Asia. Anis also sits on the board of directors of Jibo, Affectiva, Afero, Lark, Jetlore, DLE, I AND C-Cruise, ZUU, and Infoteria. Anis holds a Ph.D. in Computer Engineering from Tokyo Metropolitan University. He has published more than 30 technical papers, and has authored 5 books in 4 Asian languages, providing valuable insights to Asian startups and corporations.